Hey guys! Before I went on holiday I got my fingernails gelled. Unfortunately I didn’t save a before photo (they were gorgeous), but as you can see, they’re now looking a bit the worse for wear. After a lot of swimming and a pinch of rock climbing, I think it’s time they go. Salons that do gel nails will almost certainly remove them for you – usually for a small charge if you’re not getting them redone. I must stress that that would be the safer way to go about it. Hoooowever, you may have your reasons to want to proceed solo, in which case you do so at your own risk, and ffs do not mix acetone with furniture. This is all very affordable in Boots or Superdrug. You’ll have to ask over the counter for the acetone. Quick note: Please don’t scratch/peel gel polish off. 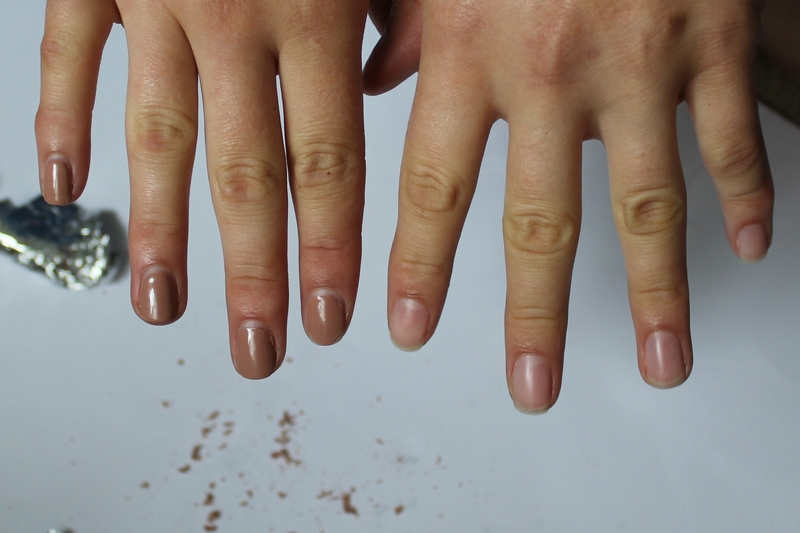 Gel polish grips the underlying nail much more than normal polish, so brute forcing it off does damage. Heed my advice and put something good on the tele because you won’t be able to touch anything for a bit. Also probs easiest to do this one hand at a time. 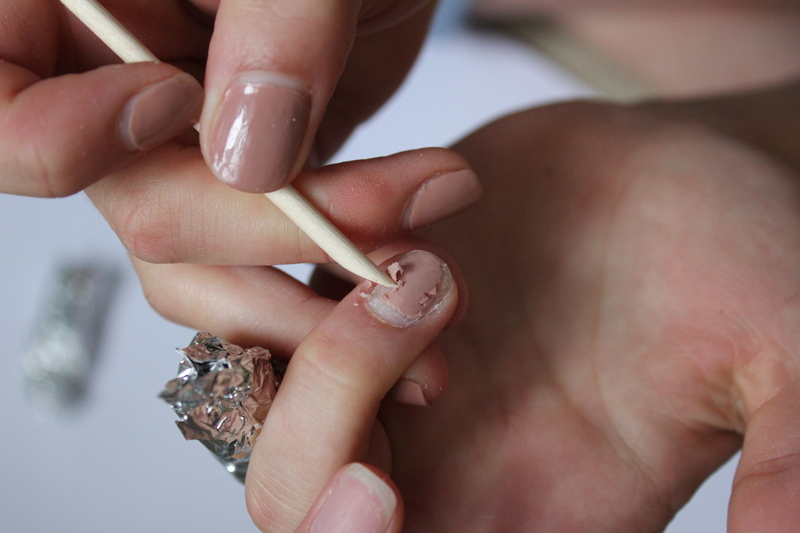 Break the surface of the polish with the nail file. Really rough it up. This will be sad, but you can look forward to the future. Soak a cotton wool pad (cut each in half if you’re hyper economical like me) in acetone and place it on the nail. Carefully secure this in place with a tin foil strip. Leave this in place for around 7-10 minutes and resist the temptation to peek before the time is up. Do a whole hand like this. Working around from the nail you started with, firmly press on each nail and wiggle off the foil and cotton wool. Gently scrape the gel off with a cuticle stick. Some of it will already be falling off, and the rest should crumble satisfyingly. Use the nail buffer to smooth over your nails until they’re shiny new. Any tiny left over bits of gel act like spackle – ideal. Repeat everything with the other hand. I really hope this works for you – please let me know if you use a different way. Also strange question: do you prefer an imperative (do this do that) or a personal (I did this I did that) style of writing? It’d be useful to know!